Steve was appointed as Chief Executive Officer in 2008. He is the former chairman and chief executive officer of Inter-Tel, Incorporated, which he founded in 1969. Steve led the Inter-Tel revolution from providing business telephone systems to offering complete managed services and software that help businesses facilitate communication and increase customer service and productivity. Before selling Inter-Tel to Mitel for $720 million in 2007, Steve grew the business to nearly $500 million in annual sales. Steve earned an honorary PhD from California State University - Fullerton and received a Bachelor of Arts in Business Administration in Accounting & Finance from the university in 1969. He has served on boards of numerous community organizations including the Arizona Heart Foundation, Junior Achievement of Arizona, Arizona Museum of Science and Technology and the Arizona State University College of Business Dean’s Council of 100. Committed to education, Steve is involved with the Karl Eller College of Management at the University of Arizona and has served on the advisory board of Junior Achievement of Central Arizona for over 25 years, as a member of the board of directors of the Big Bear High School Education Foundation and on the Dean’s Advisory Board of CSU-Fullerton. Mr. Gaylor serves as President and Chief Operating Officer for Crexendo. Prior to ascending to the role of President, Mr. Gaylor was Vice President of Sales for the company, a position he held since 2009. Doug's expertise covers all areas of Web Marketing including proper web design strategies, SEO best practices, Conversion Rates, Paid Search, Link Building, and Social Media. In addition, Doug’s 25 years in the telecom industry has made him a subject matter expert in hosted telecom, network services, PBX and Key Systems, Call Centers, and Managed Services. Prior to joining Crexendo Gaylor held positions of increasing responsibility, culminating with the position of Sr. Vice President, at Inter-Tel/ Mitel where he was originally hired in 1987. Gaylor was responsible for overseeing the sales efforts in the Western United States where he was ultimately responsible for the activities of approximately 200 representatives. Under his leadership yearly sales for his region reached over $175,000,000 annually. Doug holds a BA in Communications from the University of Houston. Mr. Vincent serves as Chief Financial Officer for Crexendo. Prior to taking on the role of CFO, Mr. Vincent served as VP of Finance for the company. 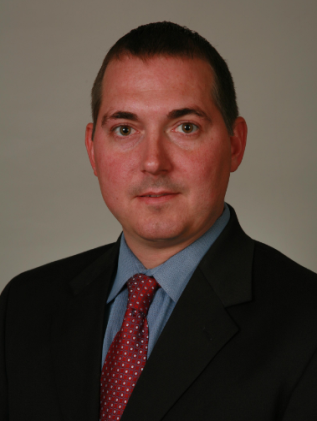 Before joining Crexendo, Mr. Vincent served as an audit senior manager for Ernst & Young, LLP in Phoenix since 2005. Mr. Vincent supervised teams and managed client relationships for clients of all sizes; his experience included auditing and substantial review of business plans and services for various telecommunication and internet marketing service providers. Prior to his employment with Ernst & Young, Mr. Vincent was an audit senior with Mukai, Greenlee & Company and John C. Todd II, P.C. Mr. Vincent holds an MBA from the University of Phoenix and a B.S. in accounting/finance from Indiana University Bloomington, IN. Mr. Krietzberg has served as the Chief Administrative Officer since 2009. Prior to joining iMergent, Inc., Krietzberg held positions with Mitel Networks, Inc, Inter-Tel Technologies, Inc and Executone Information Systems, Inc., including Chief Financial Officer, Vice President of Finance and Treasurer. Krietzberg has extensive experience in operations management, strategic planning, financial management, building organizations and developing high performance teams. Mr. Krietzberg has both an MBA in finance and a BBA in accounting from Pace University. Satish Bhagavatula serves as Chief Technology Officer (CTO) and Chief Information Officer (CIO) for Crexendo. 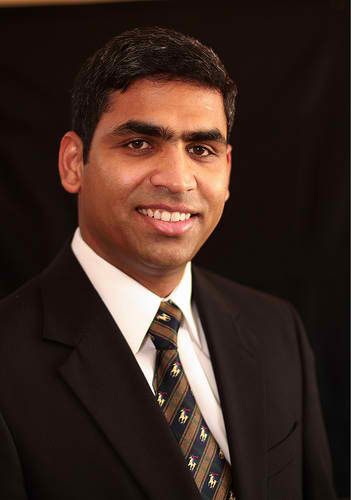 Mr. Bhagavatula has been Chief Architect of the Crexendo Telecom division since 2010. Prior to that, Mr. Bhagavatula was co-founder and CTO of Tripware (Remotian Systems, Inc). Prior to that, he held positions of increasing responsibility at Inter-Tel/Mitel culminating with the position of Chief Architect and Distinguished Engineer where Mr. Bhagavatula was involved with technology, architecture, product & project management and software development. Mr. Bhagavatula holds a B.Tech in Electrical Engineering from JNTU Kakinada, India and M.S in Computer Engineering from the University of Massachusetts, Lowell. Mr. Korn has served as Chief Legal Officer since February 2009. Prior to that he served as the General Counsel of iMergent since 2002. Prior to joining iMergent, Mr. Korn had a private consulting practice; before that, he had served as general counsel of ProsoftTraining (previously a NASDAQ company), and prior to that, Mr. Korn was a partner in a Jacksonville, Florida, law firm with his practice, specializing in corporate matters and litigation. Mr. Korn has been an advisor to private venture firms, as well as a lecturer and a college instructor. Mr. Korn currently serves on the board of directors of Flanders Corporation and on several charitable and education boards. Mr. Korn has a BA from the State University of New York at New Paltz and a JD from Stetson University College. C. Parker Garlitz founded one of the First ISP's in Utah in 1993, and has been actively marketing on the Web ever since. Parker started selling printer and copier supplies on line and currently owns and runs Living Whole Foods, Inc., with over $3 Million in annual ecommerce sales and growing at over 30% per year. In addition to his own ecommerce business, he has also consulted for dozens of midsized to large companies in helping them improve online conversion rates, search engine optimization, paid search management, Amazon selling strategies, comparison shopping engines, social network strategies, link building and more. Parker is an eBay Gold Powerseller, and currently manages almost $2 Million a year in paid search budget for himself and his clients. He has generated tens of millions of dollars in online revenue for himself and his clients through direct ecommerce sales and B2B lead generation. Parker is an internationally recognized Internet marketing expert and has trained business owners in all 50 US States, Canada, New Zealand, Australia, and South Africa on how to use the Internet to reach a larger and more qualified target audience.